G-WAY is the foremost production machine/facility builder with an expertise in the rubber and sealing industry. 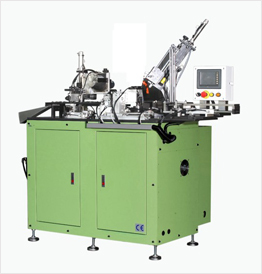 And the auto oil seal trimming and spring loading machine is our representative machine. 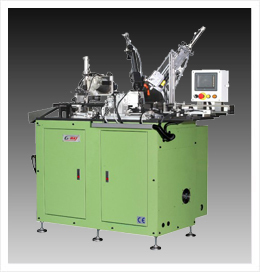 The machine is combined the vibrating tray (bowl feeder), trimming assembly, vacuum, cylinder, and walking beam to process the oil seal. The user can add a CCD camera to check the dimension of the trimmed seal and check the spring loading status. Because the spindle is not moveable and a very rigid knife assembly, the trimmed dimension is very precise. 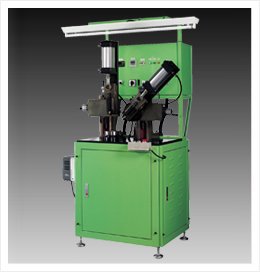 There are many tools the user has to change / adjust when changing the seals from one to one size, so it is especially for processing high- volume-low-mix oil seals .